One of the major benefits to living in Northern California, besides our weather, is the incredible availability to so many different and wonderful recreational offerings. In just a couple of hours you can drive to the ocean, the mountains and popular destinations from foreign travelers or even breathtaking parks. This wide variety of leisure options makes Northern California a very worthwhile destination for travelers. I have lived most of my life in the central valley of Northern California. I grew up about an hour south of Sacramento, the state capital, and now reside about thirty minutes south of where I grew up. I love the flexibility my family has when it comes to getting out of town and doing something. It is also great to know that so many people travel to your area of the state to have an adventure or visit one of our beautiful cities. For those who aren’t fans of being so cold the Pacific Ocean is about the same time drive, just in the opposite direction. Northern California has the luxury of having some truly inspiring beaches and access points to the ocean. You don’t have to be a surfer, even though the conception is all Californian’s can surf (we can’t), but you can roll up your pants and wade into the waters of the ocean. Of course you don’t have to get wet if you don’t want to. You can go deep sea fishing, whale watching or just jump on a tour boat to see the area. The San Francisco bay area has quite a few marinas that take tourists out; you just need to decide what you are interested in doing. I have done a deep sea fishing trip before and it was fun. Being my first time out in the bay I took some motion sickness pills, which I strongly recommend for first timers, and we headed out. 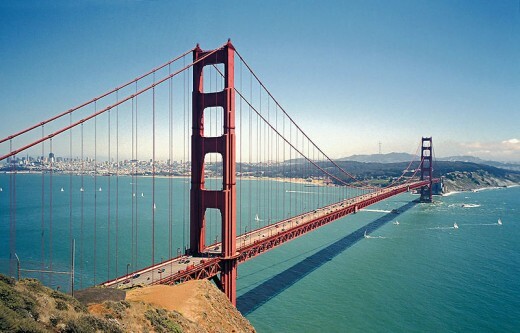 Just about everyone knows about the Golden Gate Bridge but how many people can say that they have been under it? Most of the captains will take you under the bridge to see if the water is calm enough to fish or not; for my trip it wasn’t but fishing next to Alcatraz was just as cool. 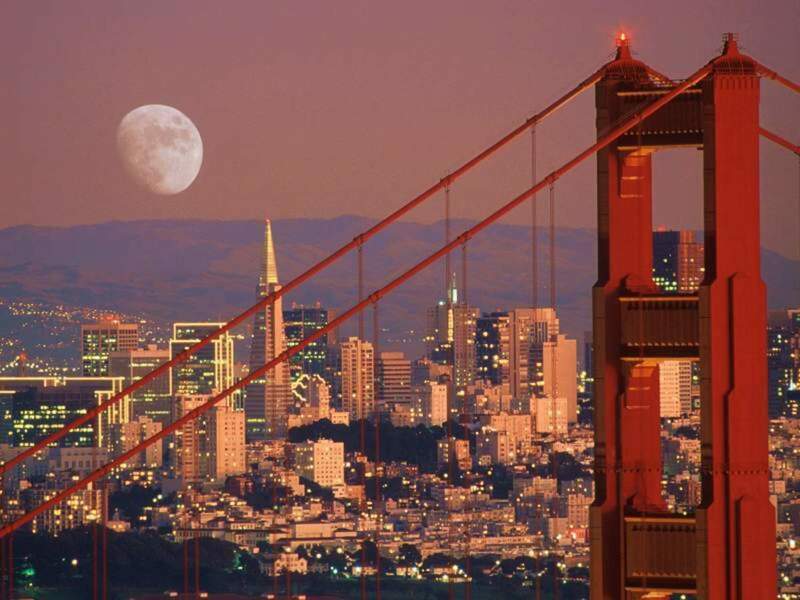 San Francisco itself is a huge tourist destination for domestic and international vacationers. For proof of this go to the Golden Gate Bridge lookout point and just take a look around the parking lot. You will see many different countries represented and probably more than one tour bus parked. We had an exchange student from Japan one year and her parents actually came to San Francisco for their honeymoon. Living so close to these international travel destinations we sometimes take them for granted but it is really gratifying to know that these areas are so popular in the traveling community. Monterey is a tourist hotspot because of its ocean related activities as well as it’s wineries and a little golf course known as Pebble Beach. My wife and I have spent more than one anniversary in the Monterey area and it really is a beautiful place to see the ocean or grab a fresh seafood dinner right on the water. If you are planning a trip to Monterey don’t overlook the Monterey Bay Aquarium. This aquarium is huge and features some beautiful sea creatures. Give yourself a few hours here; it will take you that long to get through the whole thing. If you are seeking adventure, but snow and the ocean aren’t really aren’t your thing, take a look at Yosemite National Park. 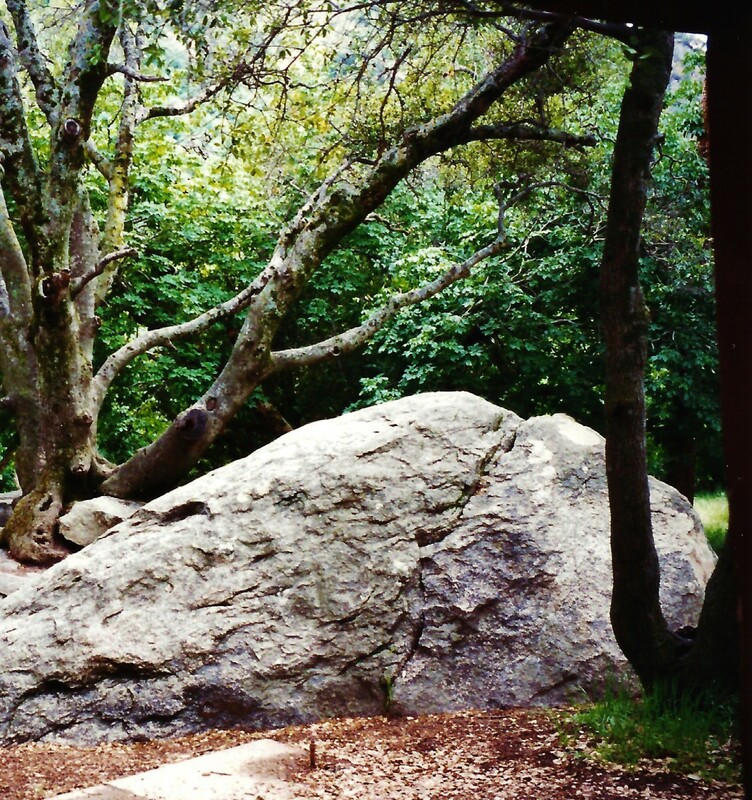 This park offers tons of rock climbing and hiking trails through some of Northern California’s most beautiful landscape. I remember going there when I was a kid and hiking up to one of the waterfalls. Standing near the top of the waterfall and watching it shoot over the cliff is something that I still remember, and it was probably twenty plus years ago. 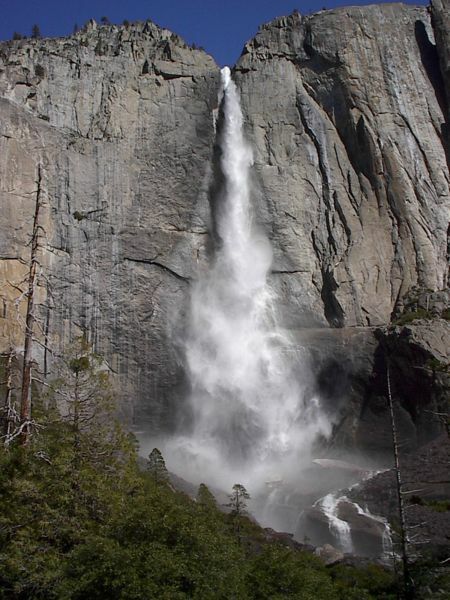 Camping is also available in Yosemite but reservations are a must, especially in the busy summer months. If you aren’t a big tent and sleeping bag person look into getting a cabin but their availability goes quickly so plan ahead. I’ll be honest, I haven’t tried skiing because I am afraid I will find the nearest tree and wrap myself around it; I have done the tubing thing though and that is fun so I will stick to it. With that being said I know a ton of people that live for the winter so they can go hit the ski slopes. 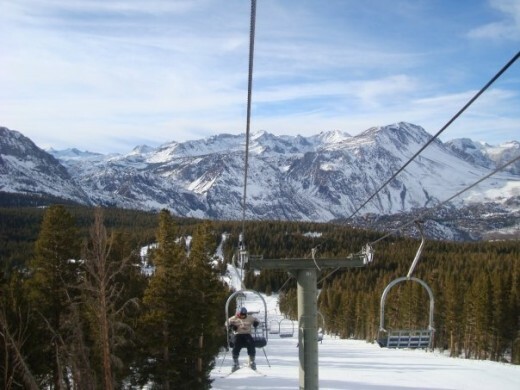 Not only does Northern California showcase some world class skiing opportunities some of the most recognizable snow athletes train and/or reside here too. Current and past Olympic athletes, and the younger generation favorites seen on the X-Games, have chosen to call the Northern California mountains their home. Since the Northern California area has such good weather year round it has become a major player in the wine market. 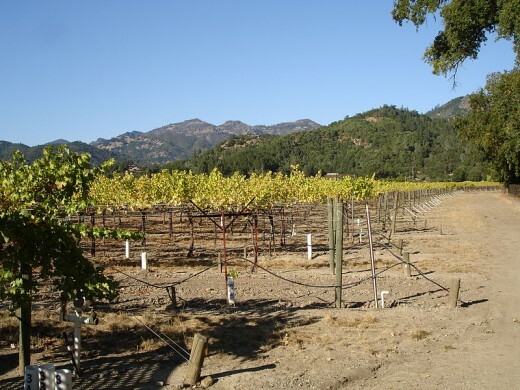 Many people are familiar with the Napa Valley for producing high quality wines but there are other, lesser known areas, which have established themselves as solid winery options as well. Both Livermore and Lodi have multiple winery options for anyone looking at tasting the fruits of their labor. Both cities aren’t as widely recognized as the more veteran producers in the Napa Valley but both are very respected in the industry. For those out there interested in a family oriented day on a roller coaster or seeing a professional sporting event, Northern California certainly won't disappoint. Two large theme parks are available in Northern California; Great America and Six Flags Discovery Kingdom. Sports nuts can get their fix in Northern California by attending professional baseball (Oakland A's and San Francisco Giants), football (Oakland Raiders and San Francisco 49ers), basketball (Golden State Warriors and Sacramento Kings) or hockey games (San Jose Sharks). In addition to these professional options numerous minor league baseball teams call the area home as well, if you are more interested in seeing a game at a smaller venue. Given all that can be seen and done in Northern California hopefully you have enough time to do everything that you want to. Another advantage to these recreational options is that they are all doable in a day. For travelers you can fly into one of the big airports like San Francisco, Oakland or San Jose; if a smaller airport is desired try Sacramento. With so many choices, the biggest problem might be deciding what to do first. ryanjhoe - I have drove through the redwoods many times and they are just as beautiful as the first time I made the drive. It has been a while since I have visited Yosemite but it was amazing as well. You can't go wrong with either location in my opinion. California is a great place. My friend who lives there also tell many wonderful things about California. I would love to see redwood trees or visit Yosemite National Park. I hope I can go there someday. GetitScene - I haven't done it personally but I know a few people that have and they had a great time. Good stuff. That Napa Valley Wine Train sounds like the thing for me. TeachableMoments - Me too! My day job is in the East Bay but I live in the valley. My family and I really enjoy the options our state provides. Thanks for commenting. Born and raised in the Bay Area and there is nowhere else I would want to be. There is so much to do around this area. All you have to do is drive 20 miles in any direction and you'll find something new to do. I love taking hikes surrounded by redwood trees, eating sushi in Japan Town, watching a great A's game and taking my daughter fishing at Lake Tahoe. Northern California is the place to be! I grew up in northern California and love, love, love it. Tahoe is my favorite place to snowboard, Monterey is my favorite place to visit, and the beaches are close enough to get to (although it's way colder...) There are endless things to do for all different types of hobbies! I like how you described all my favorite locations. That reminds me...I have to plan something this summer...maybe Napa! Awesome hub, great job! Mmargie1996 - Next time you are out in the LA area visiting the family come one up and check us out. habee - There are so many beautiful parts of the state up here, you won't be disappointed. 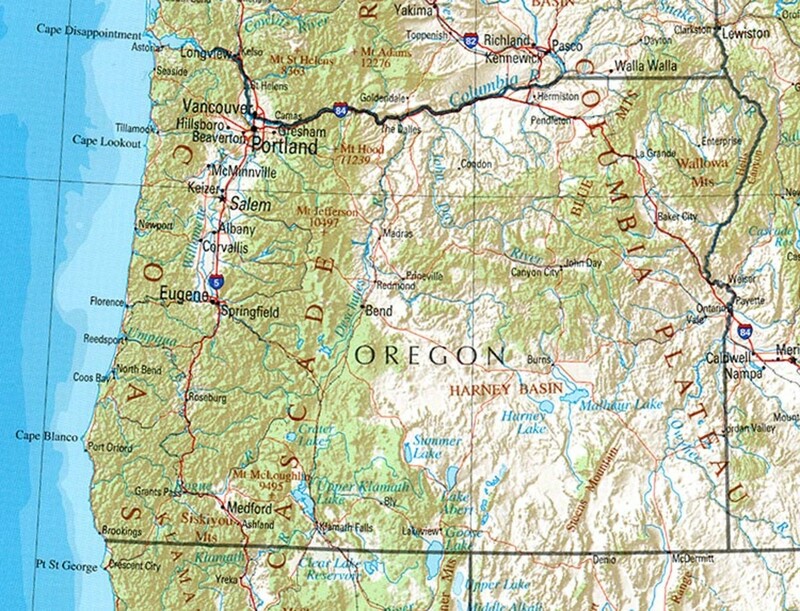 I have always wanted to visit Northern California! 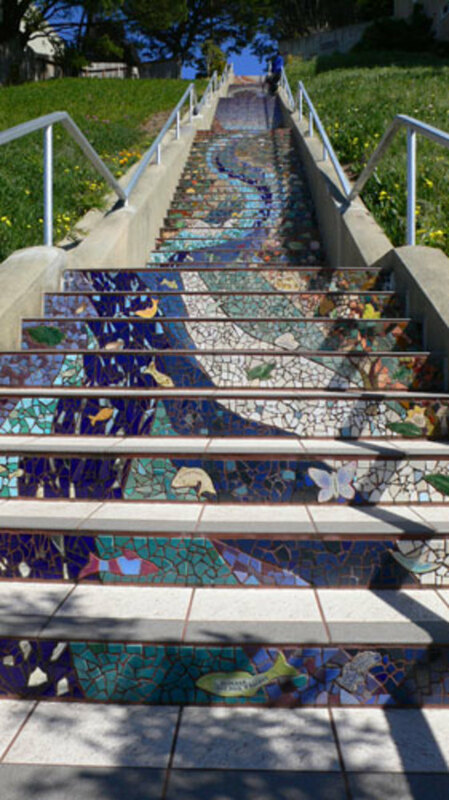 I have family in the Los Angeles area, but Northern California is on my bucket list! This will be very useful when I finally get there. 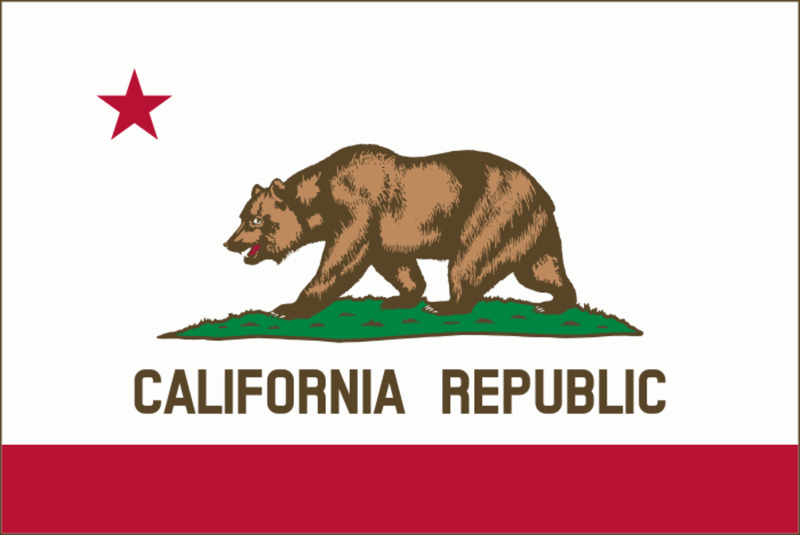 I've never really wanted to go to Cali before, but you make northern CA seem so appealing - I'm ready! Really enjoyed the read and voted up. Marcy - Thanks for sharing this with your followers. I love living here and it really is a blessing that Northern California has so many things to offer our residents and visitors. I love northern CA - I've only seen parts of it, but it's stunning! Thanks for this terrific guide on what to see and do! Voted up and sharing with followers! alliemacb - come check us out we have tons of stuff to see and do here. Thanks for commenting. Such a beautiful looking area. It's really whetted my appetite for visiting Northern California. I particularly like the look of the ski resorts. I've only ever skied in Scotland and Italy but the American resorts look fantastic. Of course, a visit to the wineries would also be great. Might be a mistake for me to combine a wine tour with skiing, but we'll see. Voted up and awesome. summerberrie - thanks. California really has something for everyone. The bay area has a ton of stuff to do all year round. TahoeDoc - I have been to the south shore a couple of times and it is beautiful, not a fan of that drive on highway 50 though. I have to be honest, trying skiing isn't on my bucket list. Being a tall guy my balance can be easily thrown off and being on ski's might just be enough to really throw me for a loop. adjkp25, I have always wanted to visit San Francisco. Your state of California looks beautiful. Wonderful use of maps! I love living in Northern CA (I loved Southern CA, too for different reasons). I am so, so lucky to be living in South Lake Tahoe now. The beauty of the area is breathtaking!! You should try skiing- it's addictive, though- be warned. I live about 20 minutes from Heavenly, 15 from Sierra-at-Tahoe and 45 minutes from Kirkwood. I ski about 20-30 days each winter and my kids are in ski school at Heavenly. It's definitely a way of life here in the mountains!! But, I also love that it's so easy to get away to these other beautiful areas you mentioned. Sac is 2 hours or less, SF (my fave city anywhere) is 3-4 hours, Napa is just over 3 hours... so many beautiful places to see. This year, we plan to visit Monterey and Santa Cruz in our explorations. Great hub and I'm inspired to explore this amazing area even more. teaches12345 - I'm glad you have visited our fine state, thanks. I have visited California's and have enjoyed touring San Jose, San Francisco, Los Angeles areas. All have so much to offer vacationers. I loved the bay in San Francisco and the beautiful valley life of San Jose. Great hub.